We hear this a lot – ‘Give it to God’. But this story brought it home for me and gives me a too real perspective. Life is short. The below link will take you to a blog post by the country duo, Joey & Rory. Be inspired. Pray for all – since we are going through something. Live your life to the fullest … with grace in our steps, hope in our hearts. Today … was like coming home, after a long trip. That’s what true friendships and love are …. it’s like coming home. I was finally able to meet up with some friends today and it was a good day. Good days have been far and few in between this winter. I find myself trying so hard to be strong. Sometimes, I feel so alone, going through cancer, trying not to be a burden to anyone … but then you let your guard down and realize who truly has your back. I try to put a big smile on my face but at times, all I want to do is curl up and die. Just give up. But then I find myself lucky enough to spend a couple of hours surrounded by friends and my smile is genuine. I still want to curl up, but not die. Lately, I have been too weak for much. But today was a good day. A day of genuine connection. I felt a part of something. And sometimes, that is all we need. Today was a day of hope and hugs. People ask me on the bad days what chemo is like, how I am feeling – and although I consider myself articulate, I have a really difficult time explaining it. It’s difficult to describe the forest from the trees, right? Chemotherapy side effects are worse than cancer, that’s for sure. 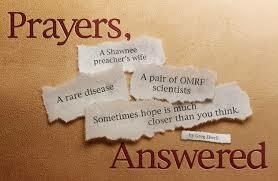 With cancer, most of the time you’d hardly know it if some doctor didn’t tell you. I mean, I was pretty hard up by the time they found it in me, but sometimes cancer can go all the way to stage IV and you’d never know it. Chemo, on the other hand, you can never forget that. Not for a second. There’s no ignoring chemotherapy. It invades every cell by the end of it. You spend months marinating in a stew of toxic wastes that are out to kill you. And I don’t think that’s overly-dramatic. You try it sometime and see if I’m not right. The exhaustion, the pain, the numbness, the forgetfulness, the vague feelings, the full yet empty stomach, the nausea… so many things, feelings. The exhaustion never totally leaves me, and I can’t stand very long, and today was not really different, except that I felt okay, accepted, no one made me feel bad. I got to sit like a statue and was surrounded by good friends… making new memories. Embracing life…with grace in my step and hope in my heart. Not giving up – on people, nor myself. A few weeks ago, I went to Central Park Women’s Imaging Center for my annual mammogram. They called me a week later informing me I needed to come back immediately for another mammogram, more breast imaging tests and an ultrasound because they had found a suspicious dense mass in my right breast. So I went back Friday for another mammo. The ultrasound tech reassured me she couldn’t find anything. Last week was a long, all consuming one, where of course, I panicked. I asked everyone to pray! Today, I learned God has spared me once again. I heard the most wonderful words, “ok you can go, all clear. See you next year for your yearly mammo”…. I audibly sighed and wanted to hug those women. I called my Ob-Gyn to see what she had to say. She was reassuring as well. I’ll never forget the date….the heartache, the relief, the joy….so many emotions in one short week. No biopsy needed was music to my ears. I participate every year in the breast cancer walk, but this year, it will take on extra special meaning and focus. I cannot stress enough the importance of getting a yearly exam. Time is of the essence! I have lost an aunt, too young, to breast cancer many years ago. The waiting was the worst part. Feeling alone. You start to think about horrible possibilities. I have to admit, I was scared; convinced that my luck had run out. That I had somehow failed. God has spared me so many times that I didn’t believe I would be lucky again. I have lived most of my life sick, performing under the radar. No more. This is a new year, a new chance at getting it right. I still can’t stop selfishly smiling, praying and crying – all at the same time. I am convinced that God has a plan for me that I haven’t quite figured out. Telling my friends also helped relieve the stress of worrying about whether I had cancer again. My friends are truly my pillars of strength. Writing here helps tremendously. So a big thank to you to those who read and follow my journey here…thank you for prayers. Just thank you. Tonight I am a big pile of grateful mush. 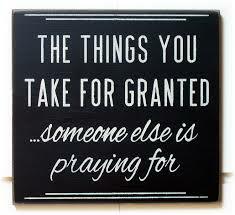 Praying that many out there are as fortunate as me…getting another chance…life is short. My faith won’t waver. My hope won’t die.